I admire this guy’s commitment to sitting around and eating. In addition to all those deadly beasts, Monster Hunter: World has loads of colorful non-monster characters. You’ll find them walking in the wild or chilling out at HQ, usually minding their business and occasionally giving you a sidequest. 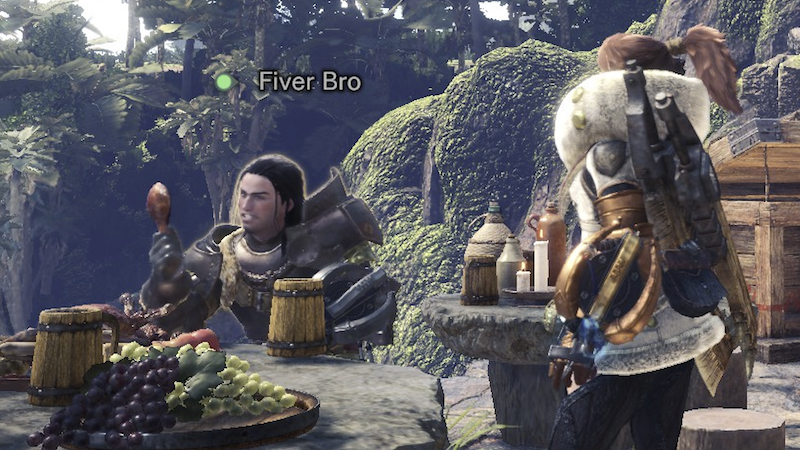 It’s nice that you have Anja armor and everything but calling yourself “Cool Fiver” doesn’t necessarily make you cool.